We are currently looking for a CAD Technician/Estimator to join our team in London. Working in conjunction with Sales, Design and the Project Manager, the successful candidate will be responsible for all aspects of planning custom projects from calculation of initial quantities to producing seaming diagrams for approval and final installation diagrams. The role will involve carrying out site surveys as required. 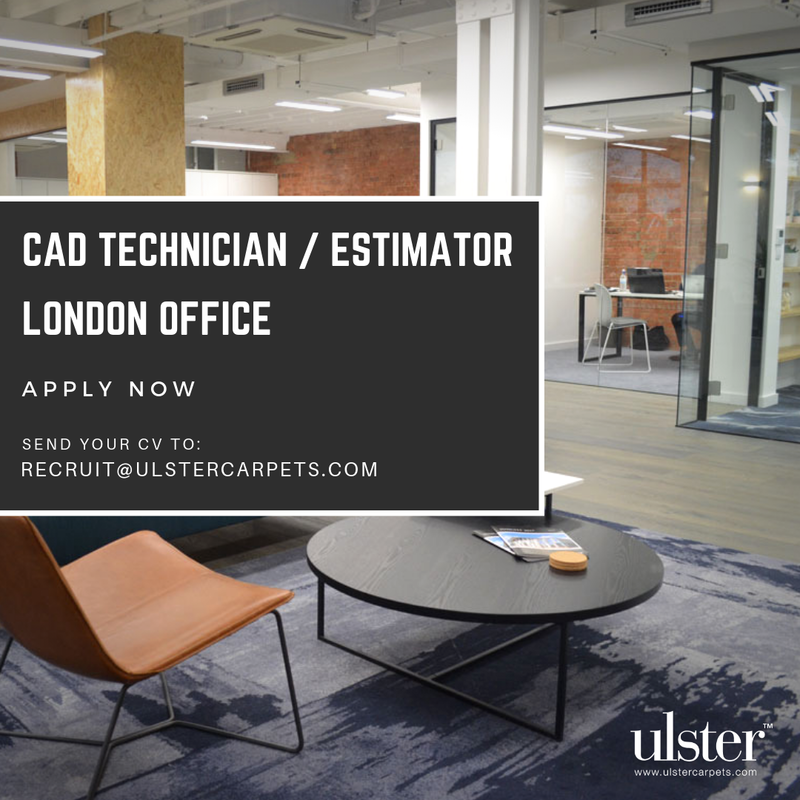 The Monitoring Officer, Ulster Carpets, Castleisland Factory, Portadown, BT62 1EE by our closing date of 26 April 2019 at 5pm. Applicants must also demonstrate their right to work in the UK.